Aldous Huxley, “Variations on Goya,” On Art and Artists, Morris Philipson, ed., (London: Chatto and Windus, 1960), pp. 218-19. 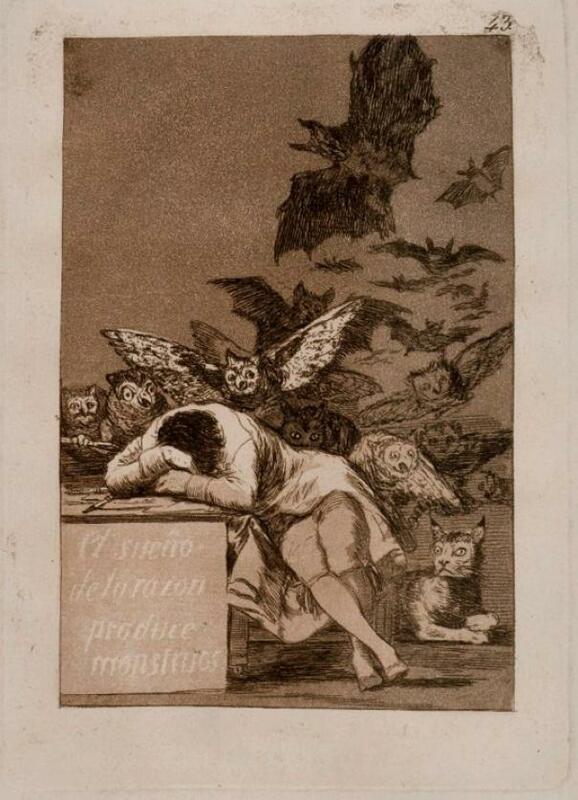 John J. Ciofalo, “Goya’s Enlightenment Protagonist: A Quixotic Dreamer of Reason,” Eighteenth-Century Studies, vol. 30, no. 4 (Summer 1997): 424. Guy Tal, „The gestural language in Francisco Goya’s Sleep of Reason Produces Monsters,“ Word & Image, vol. 26, No. 2 (March 2010): 115-6; 125.